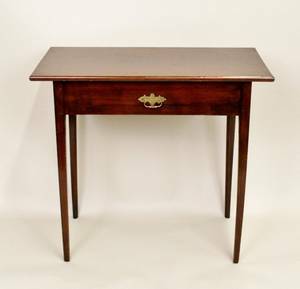 Small side rectangular table with a brass pull. 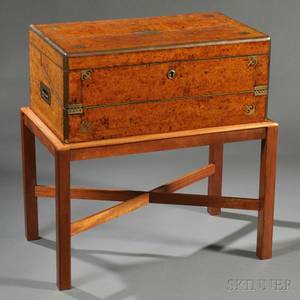 Height 27.5 inches, width 30.5 inches, depth 16.5 inches. 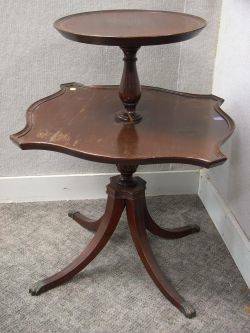 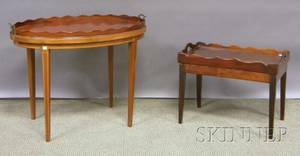 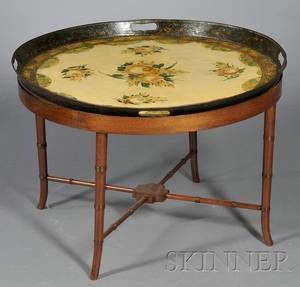 Oval Mahogany Serving Tray on Inlaid Mahogany Stand and a Georgian-style Mahogany Tray Table. 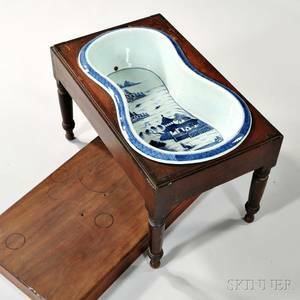 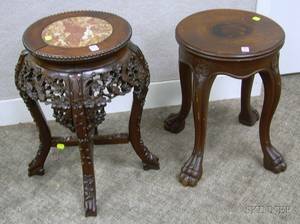 Chinese Marble-inset Carved Hardwood Stand and a Victorian Carved Mahogany Stand. 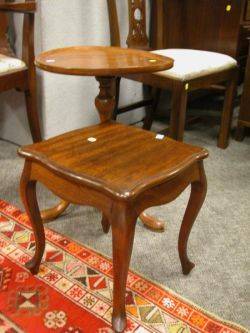 Provincial Oak Night Stand Two Ladder-back Armchairs and a Mahogany Stand. 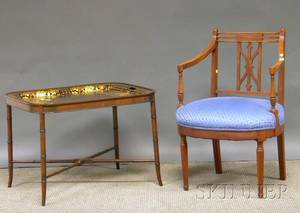 Regency-style Upholstered Mahogany Armchair and a Gilt-decorated Painted Tole Tray on Mahogany Stand.